Buy on line or order by post - see address at the bottom. 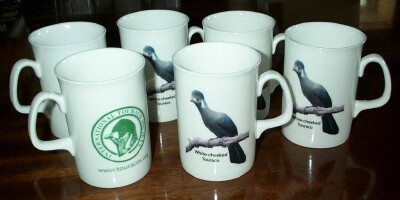 Bone China Mugs with a White-cheeked Turaco on one side and the I.T.S. Logo on the other side. 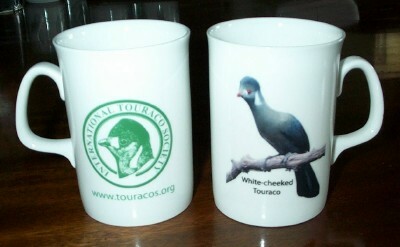 Available as a single mug, or in sets of two, four or six. Earthenware mugs with the I.T.S. Logo on both sides. 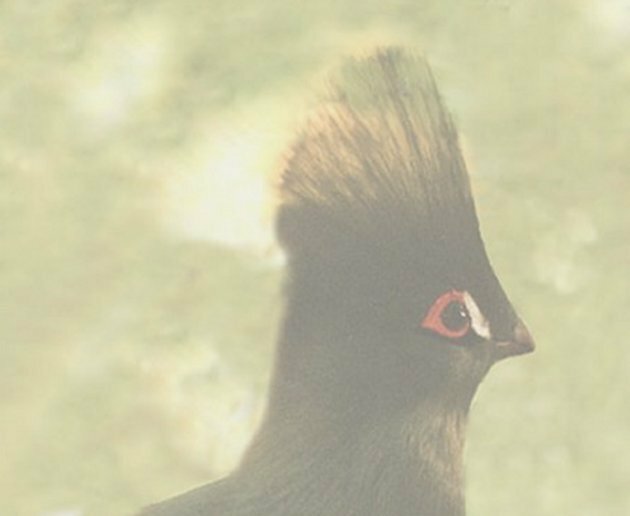 White-cheeked Turaco on one side and the I.T.S. Logo on the other side. David Jones, Walnut Tree Cottage, Popes Hill, Newnham, Glos., GL14 1LD, England. 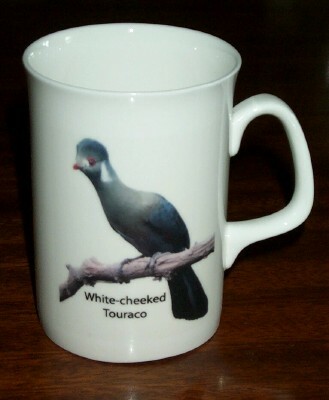 Cheques with your order please, made out to the International Turaco Society.